One of the best ways to beef up your subscriber list by offering something of value right at the start showcasing to them the value that you have on offer through email marketing. This type of email incentive also referred to as an opt-in offer, has certain value associated with it, which you agree to give away for free if people were to provide you with an email address for the download. An epitome of excellence, Appy Pie is backed with next-gen features that allow anyone to build amazing websites for a variety of purposes, helping your business grow like never before. is designed to serve many purposes, however, a landing page has just the one purpose i.e. to capture the details of every visitor by way of a lead-capture form. Landing pages coupled with a well-designed lead generation form are two of the critical most elements when it comes to lead generation. In absence of these two elements, the marketers would be limited in their ability to convert the visitors on your website into genuine leads and even in their ability to generate conversions. A landing page lends you the ability to guide the visitors on your site to pages that are better targeted and have an intrinsic ability to capture a higher number of leads as compared to the forms that have been put up on any other web page. There are probably millions of websites that are active and are in operation even as thousands more are still making their way on to the digital world. , it is with a single focused intent – to receive an offer or something of value by completing a lead capture form. Now you might be under the impression that once you have put a landing page in place, things are going to be smooth sailing and you would get a ridiculously high conversion rate by just putting in a landing page, but you would be really far from truth! This is why, I have put together a list of best practices that you could adopt if you are planning to create a landing page that would help you give a boost to your conversion rates and even get you a fair rise in the number of valuable leads that you are generating. To make things simpler, I have sectioned the tips and tricks into 5 different categories so that you have a guide in front of you that would help you design a great landing page. The impact of colors on us is paramount. It is only natural that the kind of colors we use on our landing page design would have something to do with the conversion rates we experience. The colors that we see on nay product is responsible for the emotion that we feel, and it can be both, positive or negative. A revered study suggests that it only takes about 90 seconds for any customer to form an opinion about any product they encounter. About 62 – 90% of this interaction is dependent solely on the color of the product. This principle translates quite fabulously to the ad campaigns or your landing page as well! Use this fact to your advantage and increase your conversions. Typography is more than just a fancy font that looks cool enough. It consists of quite a few attributes including the font type, font size, kerning or the space between characters or letters, and tracking & spacing. All these factors are of great importance because the content that you put up must be readable and easy to comprehend. When ignored, the focus of the customers might stray to the effort involved in reading the content, instead of the real message it intends to convey. “Above the Fold” might be the bane that a designer has to live by, and the dreaded top box of 600 pixels might give much grief to the designer in you. However, the fact of the matter is that seldom do the visitors to your site scroll down. (I mean unless there is an indication of something really intriguing down below!) while designing the landing page make sure that none of the “good stuff” goes below the fold, especially the call to action! If going below the fold is simply unavoidable for any reason, make sure that your call to action is repeated at the end of it as well. Not many people would bother scrolling back up to it! The buttons you design for your landing page make all the difference in the world! In most of the cases, your buttons are essentially your primary call to action! This is why, it should be designed with great attention. Make sure that you look into the appearance of the button including its looks, the feel it gives off, the shape, color, size of the button, and the position where you finally decide to place it! No matter what you are offering, it is an offer with good design that would always have higher chances of winning. When you have pages that look good, you are conveying to the audience that you are a professional in every sense. A well-designed page would always create trust and security in the audience by simply looking better than the others. The quality of the design is transferred automatically to the quality of the product that prospective customer may be considering buying from you. So, you might have the best product ever, and still suffer from bad conversion rates simply because of bad design, whereas a great design may even boost up your conversions. The design elements play a great role in grabbing attention of the visitor and by guiding them gently towards the call to action. A landing page that has been designed in the right way, would not have a navigation, unnecessary links, or any superfluous elements that might prove to be a distraction because the whole idea and intent here is for the visitor to either convert or leave. The moment they have something else to do on the page, they are going to be distracted and your conversion rates are bound to take a nosedive. When you look at a painting, it is natural that your eye would follow the direction that the subject is looking or pointing at. It only follows that when you place design elements of images that point to the call to action button, the eye would naturally be guided to the CTA thus enhancing your conversion rate considerably. You can make use of the images and other design elements and place them in such a manner that they would collectively convey (in a subtle manner) that your CTA is the most important element on the whole page. “Keep It Simple Stupid” and “Less Is More” are two great examples of classic sayings that go a great way in helping you design the best landing page there can be! Any landing page that has too much going on in terms of design can end up looking like a whole lot of clutter. A cluttered or overpopulated page can only lead to an audience that is confused, distracted and overwhelmed. You would produce better designs once you learn to accept and leverage white spaces and learn to keep the text and images on the page simple and to the point. When you add elements like Logos, Pins, Likes, or Shares on your landing page, you are exhibiting to your visitors how popular you are and that your customers love what you have to offer them. In situations where visitors are having trouble coming to a decision or are looking for information, they would turn to others for suggestions or recommendation which would help you to come to a decision. The copy that you create should be crisp and clean and must convey the value of the offer. The content should convey clearly the benefits of the offer and should clearly let the users know of all the benefits they are going to receive by downloading the resource or signing up with you. The copy on your landing page must compel the visitors to take an action and convert! Most of the website visitors scan through the content that they come across while browsing. It is, therefore important to make the copy on the landing page easily scannable. This can be accomplished quite successfully when you use bullet points instead of a wall of text, vary the font sizes in order to differentiate between the elements of different levels of importance. Imagine having a great offer for your customers, designing a stellar landing page, but no one really finding their way to the landing page. If no one knows about your offer, no one is going to convert. Search Engine Optimization or SEO can go a long way in helping you get your landing page found by the right people. SEO helps increase the chances of your landing page getting ranked high on the search engine results page when relevant keys are used in your page URL, headlines, and all through the text. When you include enough visual content including videos, your landing page become more appealing visually. While it may be convenient to use stock image, but it is more effective when you use real images of real people like yourself, or of your team, or even a smiling customer. Some of the more serious case studies actually indicate that when photos of real people are used the conversion rates can go up by almost up to 50% as compared to the landing pages where stock photos have been used. Now, when you add a strong video to your landing page you go a long way in increasing the trust factor and overall likeability of your page. A video can help you in connecting better with the viewers and make people aware of the benefits of the product and the services. We trust regular people, we look for recommendation from people who we can relate to. You can increase the confidence and faith of the customers by sharing review and quotes from the customers. Testimonials from your customers become your social proof. This increases your trust quotient which can further come in handy when you want to increase the conversion rate of your landing page. When people see that other people just like them are already using your product and that you and your product are solving their problems, the chances of them getting converted are a lot higher. This is the most important and critical part of the landing page is the lead capture or the opt-in form. The opt-in form is where the visitors fill in their information, in exchange for the offer. Now this opt-in form needs to be optimized. The opt-in form is the real deal; it is what would get you the most out of the landing page. It only takes about 8 seconds for a visitor to abandon your landing page, hence it is your headline that is often your only shot at convincing them to stay a little longer. Your headline must be crafted in a way that it clearly spells out what you have on offer for them and what is it that they are going to get out of the deal. The headline that you create must be able to convey the most in 5 words or less, and unless you can manage that, keep iterating! Clever wording won’t convert because no one wants to make efforts simply to figure out what is it that you are trying to convey. The ad copy and your headline must be aligned and if you fail to take care of it, you are only going to either confuse your audience or make them doubt your authenticity. The copy you draft for your ad and the headline must match exactly or be really similar. When you do this, you ensure a smooth transition, lower the bounce rate, and resultantly improve your conversion rate. If the customers run into a wall of text on your landing page, they would probably get intimidated. On the other hand, if you are offering content that is too less, they might not get convinced by it. The amount of information that should be included in the landing page depends on the level of complexity of the tasks that you want your visitors to perform. This means if you are offering complex products or the customers are making a large purchase, they are going to need more information as compared to smaller, simpler purchase decision. The offer that you are making should be made in a clear crisp manner. 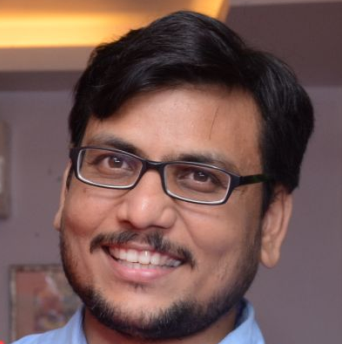 The copy you develop for your landing page must convey this value clearly sop that the visitors can see the way in which the product would help them. People would only covet your product when they see any value in it. The importance of CTA or your call to action is second only to the headline when it comes to improving conversion rates. Your call to action should be small (between 5 and 7 words), use verbs to indicate the value they are going to get like “Get Free Downloads” or “Create an Account” instead of things that they have to do like “Submit” “Fill in Details” etc. This might seem obvious, but it is amazing how many people fail to do this. If your ads, headlines, & the CTA are not consistent you might disappoint people. The landing page must match the ad perfectly so that the users may enjoy a predictable and relevant experience. It is important that your messaging is consistent. Quite like the design of your landing page, the copy is of great importance as well. When you make use of ‘The Voice of the Customer’ you would easily be able to create a stellar landing page. While you can use buzzwords and terminology, but it would get you much better results if you chose to speak to the visitors in their own language. The landing page that your visitors land on is of critical importance for the accomplishment of the goal of your promotion campaign that you are running. If this page confuses people or overwhelms them in any manner, the results are definitely not going to be favorable. This is especially true when it comes to the navigation aspect. It is of great importance to keep the navigation as simple as possible. Like I said earlier, all the content that is important must always be above the fold on the screen for ease of understanding and access. The action that you want your audience to take should not be hidden on the second slide of the screen, nor should it be buried among a million other superfluous elements on the screen. The navigation is further simplified when the page is clean and has only the information, image or link that are absolutely important and relevant. The smartphone lives in our pockets today, and so can your landing page! 69 percent of the online activity today is accounted for by mobile traffic, and this is why you simply have to have a landing page that is mobile responsive. Not only would a responsive design offer to the user, a much evolved and better user experience, but it has also come to be included by Google as one of the main factors that contribute to the ranking for your landing page. Did you know that 61 percent of the users who run into any kind of issue with the mobile site are unlikely to come back to it and about 40 percent would simply go and visit your competitor’s sites and take their business with them? If you are still one of those people who have not implemented a mobile first strategy, then it is time you paid it some thought and do it soon before a chunk of your visitors simply bounces away. If the people visiting your landing page have a tough time putting in any kind of faith in you, the rate of conversion is going to be severely hampered. It is important that the landing page be able to establish credibility and a good way to take care of this is by displaying trust symbols like any kind of awards or accolades that you, your brand, or your product may have received or any other credentials that you may have. This can be a great space to flaunt about all the great clients that you have bagged. Put up the big brand names and the logos of the big clients you have acquired and offered services to. It is only natural that some of the people who land up on your page would have some questions that the landing page may not be able to answer. In such situations they would want to reach out to you and ask you directly what they want to know. Now imagine that you were in their place and you could not find any way to get in touch with the organization. How do you think you are going to feel and what do you think you are going to do? First, you are definitely going to feel frustrated and secondly you may lose any faith in the company. You can remedy the whole thing and increase trust by clearly displaying details like the name of the company or the brand, the contact details and should also include a Google map of the location of your business. This would help Google find it with greater ease and then link it to your social networks. Additional information like the business hours and a step by step navigation helps the users reach you in any way they want which includes walking in to your place of business. 28. Integrate Social SharingHow to Use Social Media to Maximize Your Mobile App Marketing? There are probably millions of websites that are active and are in operation even as thousands more are still making their way on to the digital world. The scenario is no different when it comes to mobile apps or mobile ads. When you have a page that is highly shared Google likes it, which is why you should make sure to include social sharing buttons on it. These social sharing buttons should be so designed and placed that they are highly visible on the page so that people can not only find them easily but also feel encouraged to share your content. It gives the prospects an opportunity to evangelize your content and the offers or products you have for them. However, it is important that you do not clutter the page with too many social sharing buttons but only restrict yourself to put the buttons for the social sharing platforms that your audience uses the most. Among the options that you choose to put up there, make sure to include an email forwarding option as well to make sure that you cater to the sharing preferences of the audiences. The fun part is that even if these social media contacts do not buy anything, someone in their social network might! When you are designing the landing page, you might get carried away and end up offering a world of options to the clients. Though you might believe that numerous options would appeal to a wider audience, but too many options can confuse them and lead to a higher bounce rate and lower rate of conversion. When the users have multiple options, it is highly probable that they would begin evaluating them, getting sucked into a comparative analysis and they might finally become indecisive leaving you at a loss. Offer your users just the one option, because when you give them three, four, or five options they are going to have to think about them and inevitably a good number of these users are going to become confused. When you offer them no choice but just the one option to convert, the whole thing would be easier to understand and navigate. Less confusion leads to higher conversions! When you are developing a landing page and a lead capture form, it is possible that you would have a tough time figuring out how much or how little information should you ask for. Now, this is usually a little tough to figure out, but it would be safe to ask only for that information which is absolutely essential to qualify as a valuable lead. Typically, lesser the number of fields on a form, higher is the rate of conversion. This is simply because with each addition that you make to the form, you are making the job of the customer a lot more tedious and they would only be discouraged to convert if they spot a long form with too many fields to be filled in, leading to a low conversion rate. It is only natural that people would avoid the longer forms populated with too many fields. On the other hand, the more fields you have, the more reliable the lead would be, because the user found the offer to be of enough value to want to stay and complete the form. The ideal solution here would be try the form out yourself. When you design your landing page, you would have quite a few points from where you would be pulling in the traffic to it. You would be getting traffic from your social media promotional posts, the blog, your website, or any banner ads that you are putting in place for the purpose. Now the kind of information that these people are looking for, would also be different from one another. What I mean here is that someone who is coming to the landing page from an informative blog post already has most of the information and might only need minimal assistance, but someone who has come to the landing page from the tweet you posted is going to need a whole lot of information. 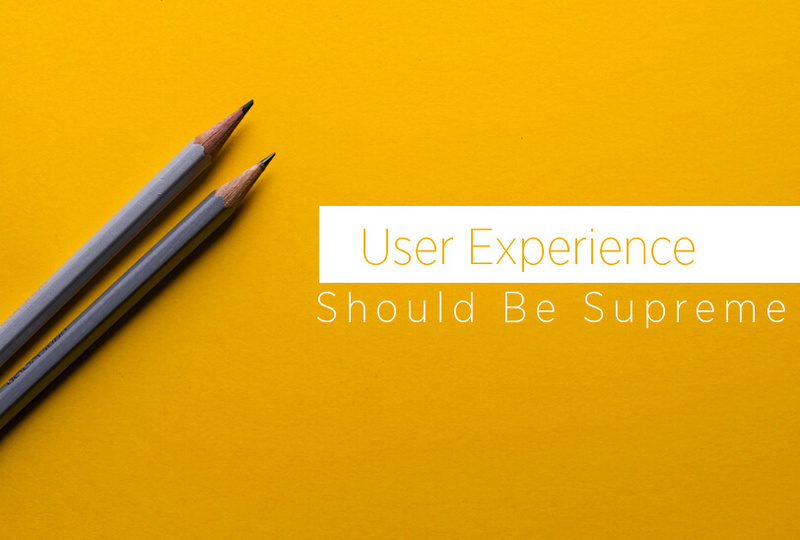 Every user essentially would have different needs and expectations depending on their inbound source. Once you develop an understanding of the user heuristics you can then create landing pages customized to their needs and increase the conversion rate considerably. An average person on the internet doesn’t have the patience to keep waiting for the webpage to load. In fact, if your webpage is slow to load, it is going to get trashed! Google page speed tools can help you in a big way if you were looking for suggestion on optimizing the speed of your page. There are a number of things that you can do in order to keep your code light and making your page speed up. This can be done by reducing and optimizing the image elements on the page and making good use of CSS and typography. Aligning your landing page and the offer you put on it with the audiences you are targeting is one of the most important aspects that you must pay attention to. You might develop a stellar landing page, but the offering you have for your audience might not align with their expectations and that can only mean disaster for the success of your landing page. The offer that you put up on the landing page must have the ability to establish a connection with the audience. If the targeted audience does not want, need or is interested in what you have to offer, or if the offer doesn’t really solve the problem that they are looking for a solution to, then the conversion rate for your landing page is definitely going to be abysmally low. Let’s say you were targeting teenaged girls who love Taylor Swift. In that case, sending out an offer about automobiles or warheads is not going to appeal to them. Human beings are emotional by nature and when you appeal to the emotional side of the user, chances are that they are going to sit up and take notice. When you add an emotional touch to the content or copy of your landing page, you can improve the conversion rate by capturing visitors’ interest. In this way the visitors would be able to relate to you, to your company and the brand, and to other customers. Any content including the copy you drafted, the images you are using, or the video you have developed is a lot more interesting when you infuse emotions in them. However, if you had a plain copy and generic images and a bland video, it would be just another run of the mill, sales page instead of something that would interest them. Whenever a customer is trying to make a decision about any purchase, it is only natural that they would have certain anxieties. It is important that you not only anticipate these anxieties and questions that the customers may have or concerns that might come up, but even address them and answer them even before any of this occurs to them. It is this trait that would make the landing page great. When you have managed to reassure the visitors and alleviate their worries and concerns about conversion or any action that they are going to take on your landing page, you would be able to build trust which might be responsible for a boost in the conversion rate. According to HubSpot, when companies increase their landing pages from 10 to 15, they experience a 55 percent increase in leads. Now, what does that mean for someone like you? When you have more landing pages, more content, and more offers, then you naturally have more opportunities for generating leads for your business. 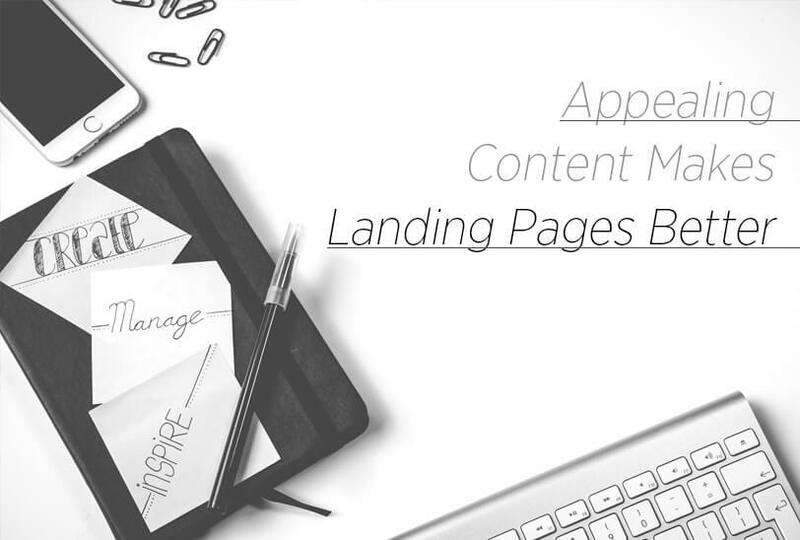 When you have multiple landing pages, it usually means that you have more targeted content which appeals better to the different buyer personas. When you do this, you are working towards helping the campaign increase your conversion rates. In order to increase the number of landing pages on your site, you can invest in one of the basic landing page creation tool. This can also be used to create more offers, work on the offers you already have and make them suit better to the different individual buyer personas, and even repurpose the content that you already have. It is only natural that when the customers come across a form that is too long, they would want to avoid filling it up. The design of the form you build is of great importance here as it is the design of the form that can make the same form appear way too long or just the right length! The thing is if the form even just “looks” like it is going to take some time filling in, quite a few of your valuable leads would refrain from even attempting to convert. Small optimizations will only lead to smaller results. So, if you are engaging in changing the colors of the buttons or font kerning you are only putting in a disproportionately high amount of effort and bringing about little to no results and missing out on huge conversions. It only follows that if you wanted big results then you would have to make big changes. If you bring about a drastic change in the sign-up flow of your landing pages, it would be the biggest change that you can make! If you have ever finished filling out a web form on your mobile device, then you know what we are talking about here. The amount of frustration that it brings about is the same for your target users as well. Using smartphones has made us look for instant gratification everywhere. It means that if I want to make a purchase, I want to do it right then and there, even if I am on the move! This means that the mobile landing pages that you put up and the forms on it should be as easy to use as possible with minimal effort needed for conversion. When you take care to make the journey of the visitor as easy as possible, you are offering to them exactly what they are looking for – instant gratification. The form you put up on the mobile version need not even capture a whole lot of information, and it can still offer you great results by encouraging a greater number of people to convert for a lot less. There is a reason why we said it thrice! 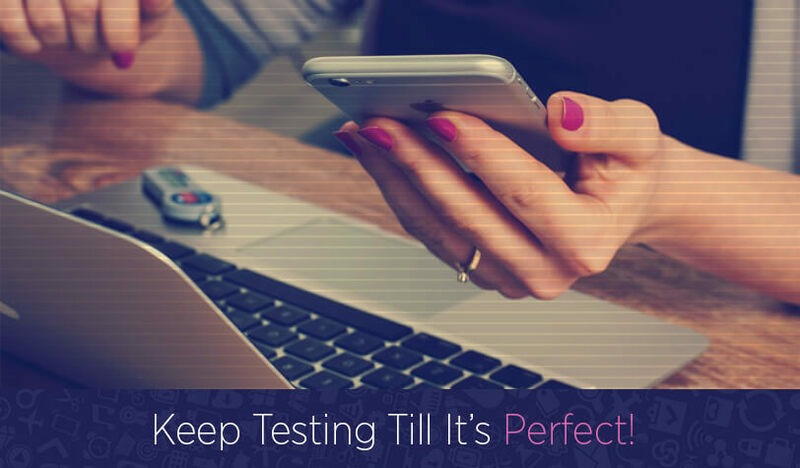 Start testing your landing page even before you start spending because there is absolutely no substitute for testing. Roll some tests out on one of the online platforms and find out what the users or the audience have to say about it. Consider their response and their feedback, so you know which elements to keep and which ones to tweak. After you have a fairly positive feedback and have come up with something that works well with your test audience, you would have a general direction in front of you. When you are developing a mobile app of your own, you have to watch it like a hawk! It is one of the prescribed best practices by anyone who is in the app development business to thoroughly test the app and to keep monitoring it. This can be best achieved with the help of A/B testing. is the process of testing two versions parallelly and comparing the performance of the two. Generally, what you would do is test the response of a subject to Version A as compared to Version B, with the final intent to determine which version is more effective. While choosing the landing page editor, make sure that it lets you A/B test your page, so that you can optimize every element of the landing page. This would go a long way in helping you achieve the conversion rate you are looking for. Do you have something to add here? Is there something that we missed out on? Let us know in the comments section, we’d love to hear from you!